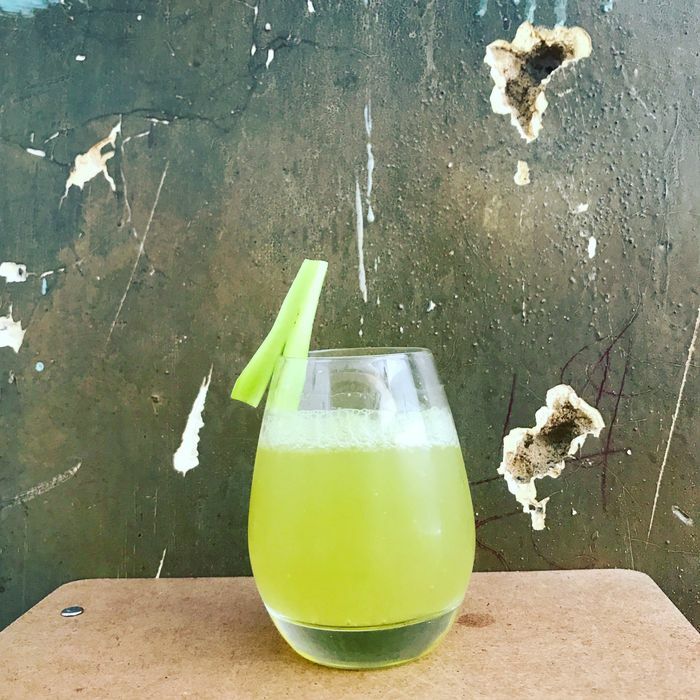 Crown Heights bar and sandwich shop Summerhill thrust itself into the conversation about gentrification in New York, when owner Becca Brennan advertised cocktails in front of fake bullet holes, and her intention to sell 40-ounce rosé in paper bags. The accusations of cultural appropriation were amplified by the fact that the bar’s majority black and Afro-Caribbean neighborhood is rapidly gentrifying and seeing a significant demographic shift. Locals responded first by plastering signs with words like “racist” on Summerhill’s street, and then just days after Gothamist first reported the news, by hosting an open forum right outside it. At the time, the organizers told Eater NY that they’d continue showing up outside the bar to voice their concerns, and yesterday afternoon a second protest was held. Geoffrey Davis of the 43rd Assembly District, who was asked by Brennan to come by yesterday, tells Gothamist he’s going to try a “private dialogue” between the organizers and Brennan. But it’s not clear that he will be able to get what he wants. The organizers, who initially released a list of demands for Brennan, reiterated that they are no longer interested in working with her, and that their only demand now is for Summerhill to close. It doesn’t sound like Brennan has exactly done what she could’ve to bridge the gap. Rutherford says that since her public apology, she hasn’t covered up the wall with fake bullet holes or made any other symbolic gesture. Which is more than fair. The fake bullet holes are tasteless and offensive, and there’s no reason for her not to do something about it. Not doing so has simply inflamed what was already a bad situation that Brennan brought on herself, though her unwillingness to do anything about the wall helps explain why she thought it was a good idea. One neighbor who lives above the bar, Roxanne Brown, tells Gothamist that Brennan has become a target, saying, “They have it in for her.” She adds that she doesn’t know how long Summerhill will last, as she claims business has dwindled since the controversy started. (There were reportedly patrons there during Sunday’s protest.) It’s by no means unusual for bars in gentrifying neighborhoods to be symbols of unwelcome change, but by dint of Brennan’s choices, Summerhill has become an extreme example of this. It sounds, from Gothamist’s report, like there were more people protesting the bar and sandwich shop than patronizing it. Granted, this was during lunch. But that’s not exactly a recipe for even short-term success.